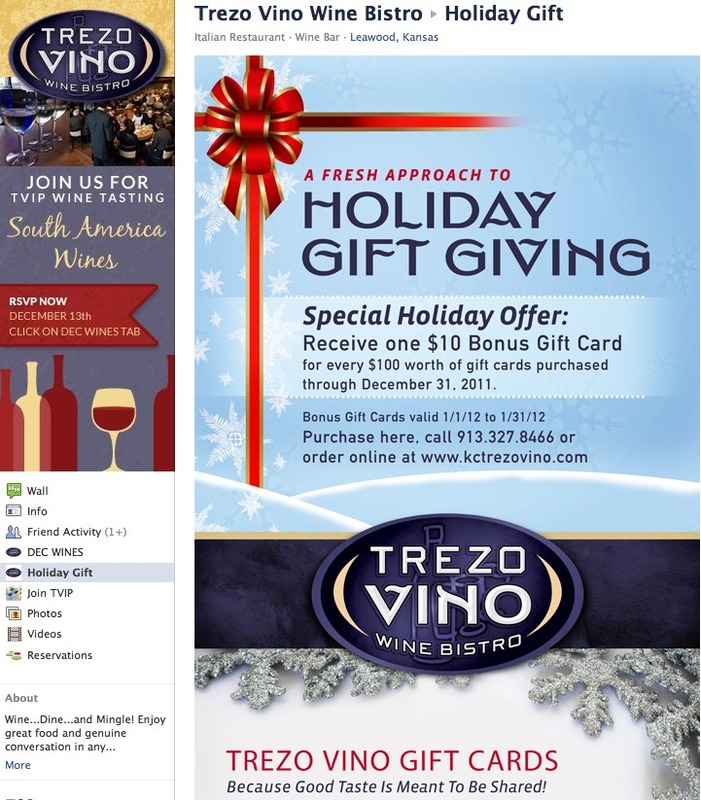 Trezo Vino restaurant in the fashionable Park Place shopping center in Leawood, Kansas does a ton of promotions but their site was difficult to modify. 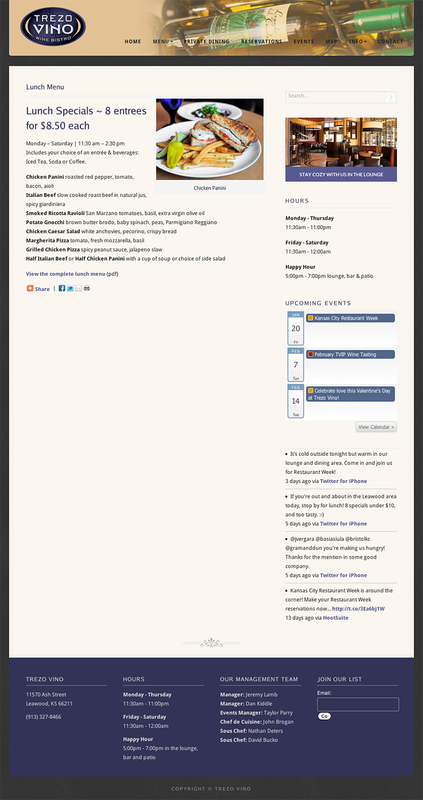 We converted the site to WordPress and updated the design and now have moving billboards on the homepage and an easy-to-use event section so we can promote different specials, events and new menu items to our hearts content. 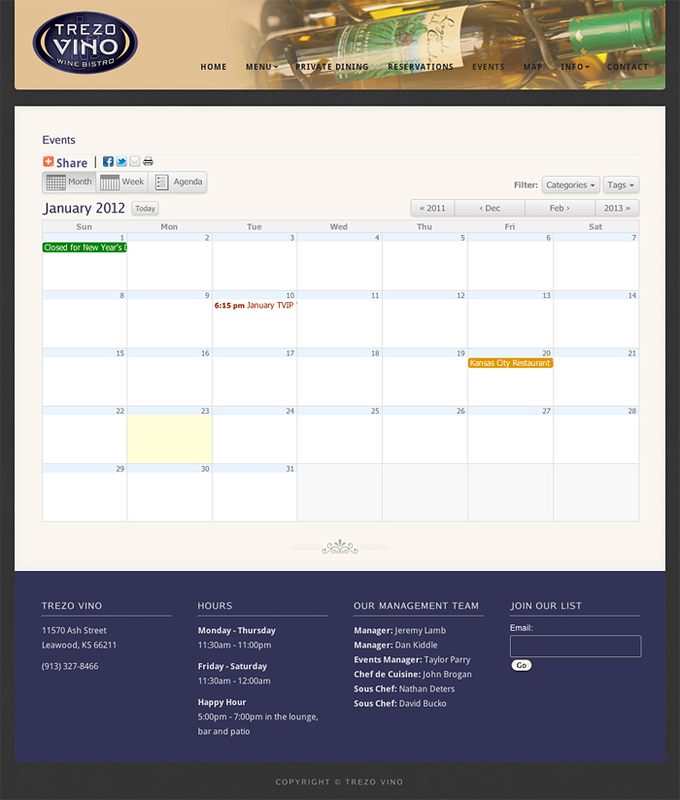 Open Table reservations and contact forms and maps were also integrated into the new site for an easy-to-use experience. 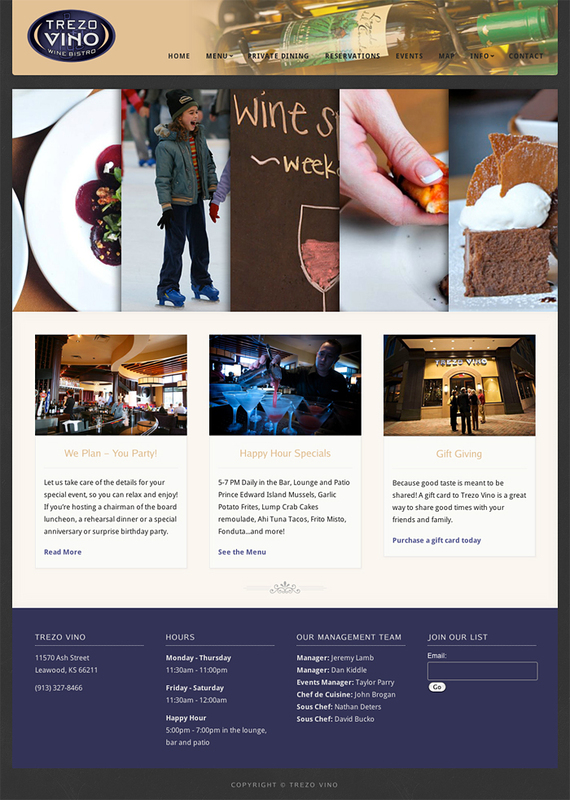 We did all sorts of things for Trezo Vino every month on retainer. 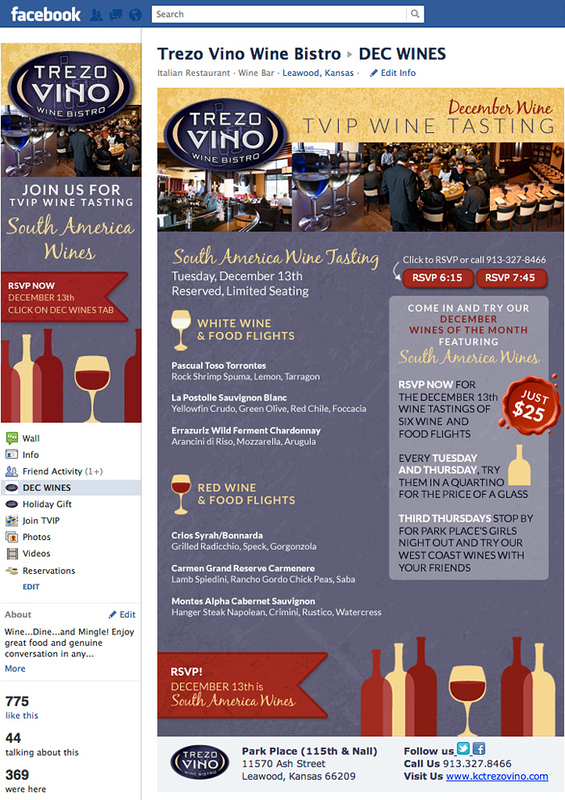 From check presenters to in-house signage to Facebook custom tabs and email marketing and menu changes, we helped them with whatever is needed for promotional efforts, print or digital. The kitchen was run by Bluestem Chefs Colby & Megan Garrelts, so we never mind stopping by when in Leawood to sample their creative dishes. Personally, we feel the brown butter brood gnocchi is out of this world and worth a trip from anywhere in the country! 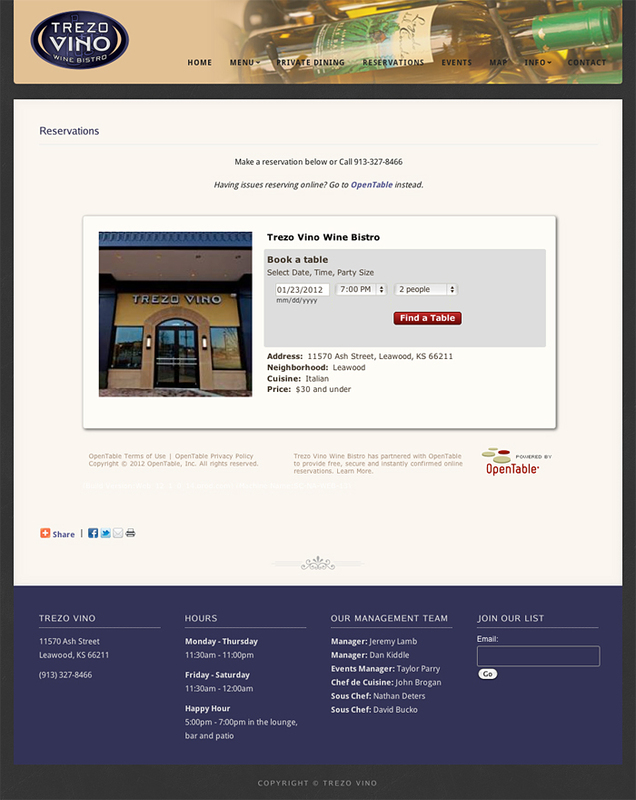 Note: Trezo Vino has closed now.